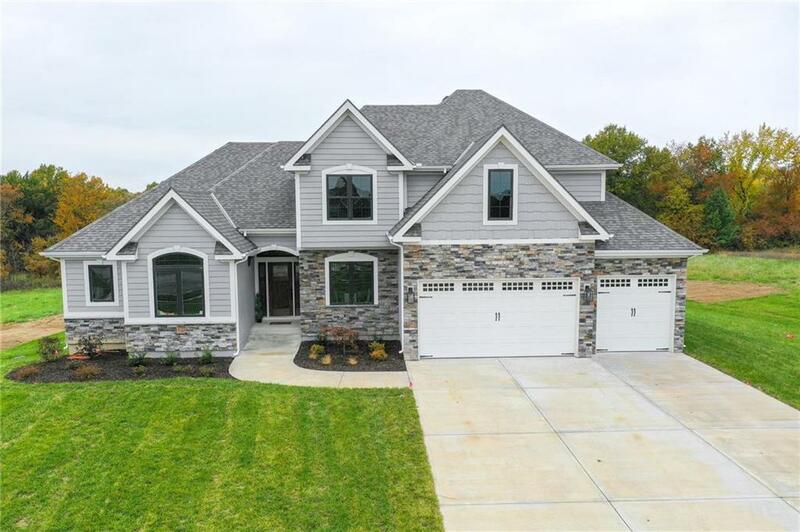 13210 Oakbrook Court, Kearney, MO.| MLS# 2136300 | Mary Giangalanti & Associates Kansas City Homes for Sale, Property Search in Kansas City & Surrounding Areas. Nothing left desired in this elegant 1.5 story by Heartland Homes* Over 1 acre cul de sac estate lot backs to trees* Several windows in master, family room and kitchen for fantastic backyard view* Loft area overlooking 2 story family room* Master suite on main level featuring shared fireplace with spa like master bath* Main level 5th bedroom or optional office* Custom cabinet built-ins throughout*Covered deck perfect for entertaining*Huge walkout basement ready for buyers finish* You won't want to miss this one! Directions: A HWY NORTH to 136th -EAST approximately 1/2 mile to subdivision on the SOUTH side of paved road.